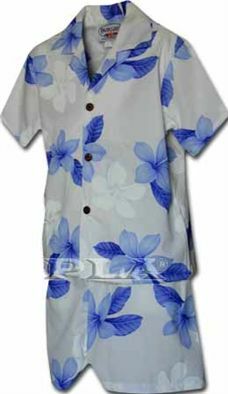 This is a Boys Cabana Set which includes Aloha Shirt and Pants. ※The Size Chart is the Measurement of the Garment. *The pants waist is elastic. Bought this for my grandson that lives in Alaska. He will be going to Hawaii with us this summer and we will be getting a family picture taken. This will be perfect for it. Just as described and brighter in person.